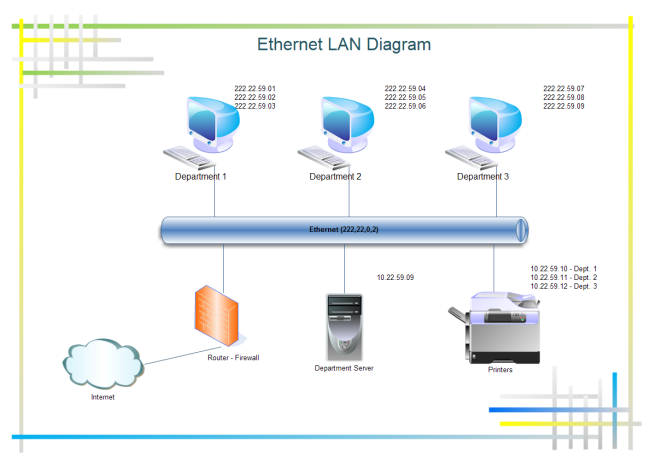 Description: A free customizable ethernet LAN diagram template is provided to download and print. Quickly get a head-start when creating your own ethernet LAN diagram. Being fully-designed and equipped with smart shapes, it helps you to get your job done quickly. More types of network diagram could be created in Edraw.